At 9:57am, on September 11, 2001, the passengers and crew of United Flight 93 made the choice to fight back. As they were held captive in a plane racing toward Washington, D.C., they chose to risk their lives so that others might be saved. Indeed they succeeded in that goal. It is our belief that their memory ought to be honored and preserved, so that future generations will be encouraged choose courage and action. September 11th, 2001 is the most significant event of the 21st century. The 9:57 Project educates students about that day, emphasizing actions of character like that the ones taken by the passengers and crew of Flight 93. 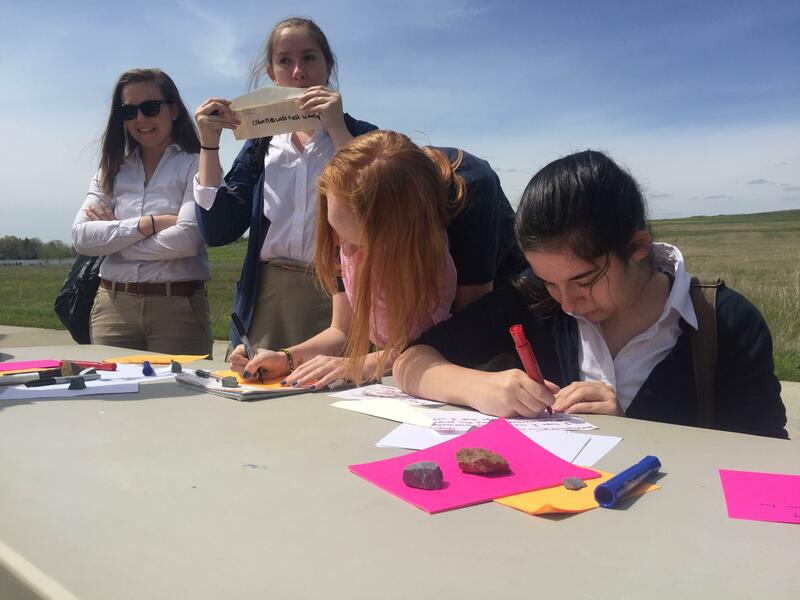 By partnering students with military veterans, this project uses the story of Flight 93 as a springboard for discussions about service, character, memory, and history. As a part of the 9:57 Project, students examine the story of Flight 93 through classroom readings, discussion, and reflective writing, and they travel to the Flight 93 National Memorial. This experience places students in the shoes of those whose lives have been affected by 9-11. Students then conduct small group interviews with the veterans who are on the trip about their experience before and after 9-11. Veterans who attend this trip have all seen combat and have been vetted to meet high expectations. Below are the curricular objectives, questions, understandings and texts that drive this experience. The purpose of this trip is to understand the events of September 11th, 2001, think critically about the importance of service, character, memory, and history, and to write a comprehensive oral history of September 11th based on interviews with veterans they meet on the trip. Over the course of their study, students will read about, write about, and discuss answers to the following questions. They are encouraged to ask their own unique questions of veterans along the way as well. What happened on 9-11 and why is it significant? How do I play a role in preserving the memory of 9-11? What will I say to future generations? What value does the story of Flight 93 hold for my life? How can I translate my understanding of this day into action in my own life? Students who participate in this experience are asked to complete various smaller assessments throughout their study which take on both summative and formative forms. The primary assessment for this is an oral history report that combines traditional sources and interviews with veterans. The primary text for this experience is Flight 93: The Story, the Aftermath, and the Legacy of American Courage on 9/11 by Tom McMillan. Other texts include the 9-11 Commission Report, Jere Longman’s Among The Heroes, National Geographic’s website Remembering 9-11 and Eddie Rosenstein’s short film Boatlift. The 9:57 Project also considers the stories of our veterans to be primary source “texts” as well, as they are a central aspect to understanding the impact that September 11th, 2001 had on everyday Americans.